Recruiting and talent management solutions provider Kenexa Corporation has announced a definitive agreement with IBM to be acquired by the computing giant for $46 per share or approximately $1.3 billion. The transaction has been unanimously approved by the Kenexa board of directors who are recommending Kenexa shareholders to also approve the transaction. Kenexa uses a combination of technology, content and services to enable organizations to optimize their workforce through the use of integrated talent acquisition, staffing optimization, and talent management solutions. Pending the approval by Kenexa shareholders, compliance with governmental regulations, and satisfactorily meeting closing conditions, the acquisition is expected to be completed sometime within Q4 2012. 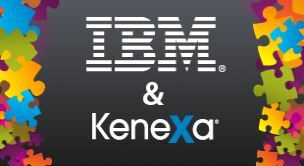 At the close of the transaction, Kenexa will be wholly owned by IBM, thus removing its stock from the New York Stock Exchange. Lazard Capital Markets is serving as financial advisor to Kenexa throughout the transaction. Additional information can be found at Kenexa’s corporate website located at Kenexa.com.